Some good news for all of enduring Droughtlander. 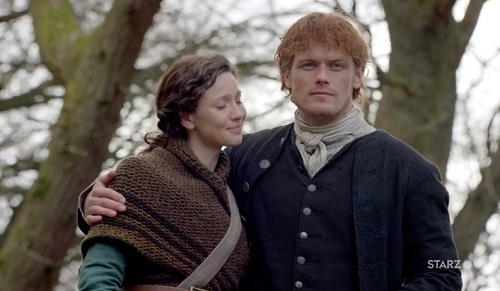 Starz have released a teaser trailer for Outlander season 4. It shows that we’ll be meeting many new characters in November, including Jamie’s aunt, other colonists and the native population. And, as expected, Claire and Jamie aren’t about to lead a quiet life in the Americas.